What's the optimal imaging approach in stroke diagnosis? The cost-effectiveness of clinical interventions is often assessed using current care as comparator. However, evidence suggests practice variation in stroke imaging across countries, according to a systematic review published online in the journal Expert Review of Pharmacoeconomics & Outcomes Research. "While the evidence about thrombectomy is difficult to translate in clinical practice, the evidence regarding the optimal imaging approach to diagnose stroke patients is lacking. The heterogeneity in stroke imaging reinforces the need to compare the quality of stroke care within and between countries," says the review team led by Anne-Claire Peultier, Erasmus School of Health Policy and Management, Erasmus University Rotterdam, Rotterdam, the Netherlands. Imaging tests are valuable tools only when they influence the decision-making process and treatment choice. In current stroke care, the value of imaging is mainly found in its ability to identify and better select ischaemic patients for intravenous thrombolysis or thrombectomy. 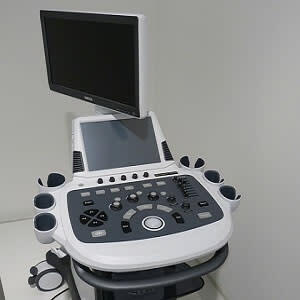 However, the relation between the use of an imaging test and the health outcomes is uncertain, making cost-effectiveness evaluations of diagnostic tests sometimes difficult. 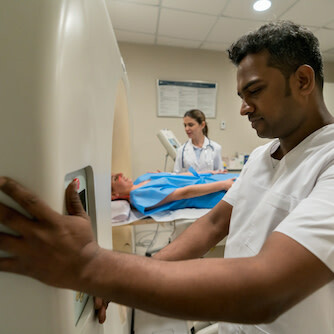 In assessing the potential value of an imaging technology, the review team says it's important to "understand the specific clinical context and the current level of provision of competing technologies used in clinical practice: Who and how do we image? Why do we image?" This research aimed to describe the patterns of stroke imaging and examine practice variations across countries, for the purpose of feeding into cost-effectiveness analysis. The authors performed a systematic literature review to identify original studies reporting the imaging workup used in acute stroke care in Hungary, Germany, Sweden and the UK. The vast majority of the selected studies was conducted in the UK, while three papers related to the Swedish practice and two papers related to the German practice were identified. No study about Hungarian clinical practice was found. Information regarding the type and frequency of stroke imaging was analysed. Computed tomography (CT) was reported as the main diagnostic imaging modality used in stroke care (78–98 percent across patient profiles and time periods). This review revealed patterns that were not observed in individual studies. Moreover, comparisons of UK studies revealed considerable variations in the proportion of scanned patients and timing of imaging. "Whether the widespread use of CT is the most effective way of dealing with stroke patients is a legitimate question. 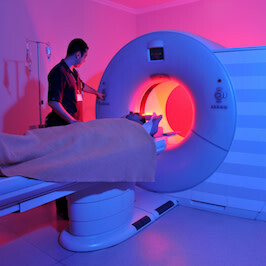 Interestingly, not all patients are imaged with CT despite its wide availability," notes the review team. "Conversely, MR imaging, despite being reported in six studies, appears to be used less frequently for the diagnosis of stroke patients in these countries." Overall, this review indicates the evidence from the scientific literature is scarce and thus insufficient for an accurate between-country comparison of the imaging workup used in stroke care. "Alternative research methods (i.e., survey) might be relevant to provide comprehensive data on current access to imaging for stroke patients and to inform the cost-effectiveness modelling. Further consideration should also be given to investigate the optimal imaging workup to diagnose stroke patients and select a more personalised therapy for individual patients. Given the heterogeneity of stroke care, further research is also needed to identify the causes for the variations seen in our study and to assess the quality of stroke care," Peultier and co-authors conclude.